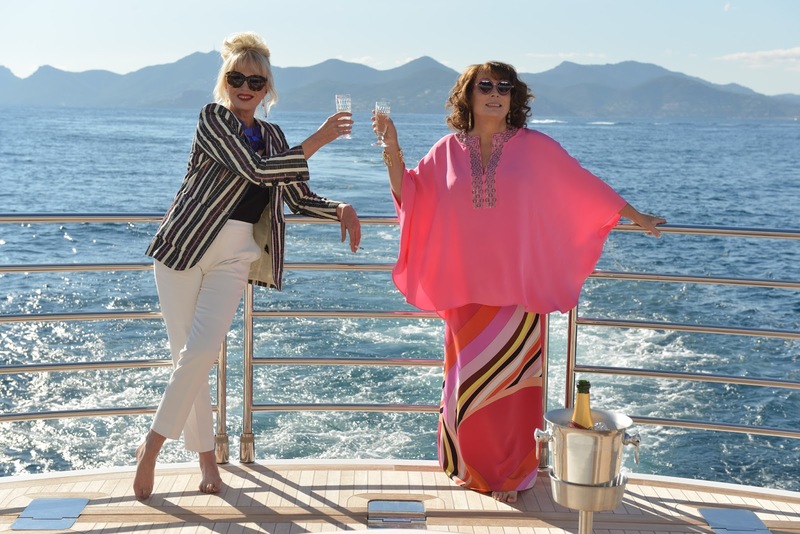 There is perhaps something commendable about the way the Ab Fab film arrives decades after the show finished. And given it opened big in wake of the BREXIT decision at the UK Box Office, there's still clearly an audience desperate for the nostalgia, the light-hearted silliness and for the beehived Patsy and the deluded Edina. Saunders does her usual pratfalls and selfish antics as Edina, a monstrous mum clinging desperately to the ghost of PR past and unwilling to go into the dark of the night unless she has champagne and her hare-brained friend with her. There's the inevitable sappiness too that always hit parts of the sitcom with the relationship between her and daughter Saffy (Julia Sawalha). There's no disputing the slapstick caper could do with a swathe more laughs as parts of it feel scrappy and underwhelming, but there's equally no denying that the film is faithful to the show's ethos of excess and no learning policy. It carries on wilfully and regardless in gloriously OTT fashion, and while the model cameos may feel reminiscent of Zoolander 2 given their volume, they serve little purpose other than to exist. Perhaps the best of them come towards the end at a swimming pool in Cannes, revelling in the anarchic sense the show used to have and embracing the zaniness of a Brit-com on the continent that fuelled so many 70s TV series' movie outings. This tale of women behaving badly may be a film of indulgence and cameos, but it lacks the sparkle of a Bolly in many ways. That said though, fans of the original series will adore its reverence to the source material and think it's still Absolutely Fabulous.